Hosted by Tencent Games and PUBG Corporation and sponsored by Samsung Galaxy Note9, PUBG MOBILE STAR CHALLENGE(PMSC) Asia Finals got released with the new esports spectacle of integrating the competition with reality show. Top 20 teams from the Asia regional semi-final were invited for the intense competition in Hua Hin, Thailand; ticket to Global Final is only given to top 3 teams. With the best 20 teams from all over the world, Global Final will be held in Dubai from November 29th to December 1st 2018. 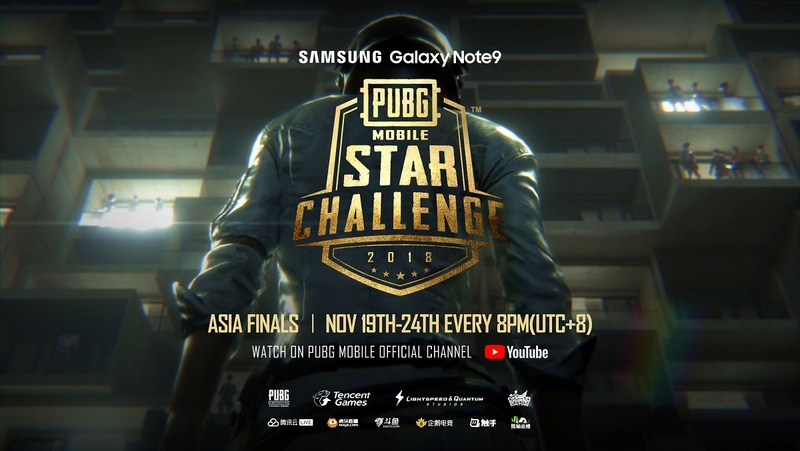 PUBG MOBILE STAR CHALLENGE Asia Finals, in the different form of competition, presented performance and chemistry of each team from a more realistic and entertaining perspective. The reality show sheds light on the competition itself and the player’s emotional states before the competition. The show captures the true charm of esports and gives fans a sneak peek into what goes on behind the scenes. This unique competition format also builds a new bridge for the cooperation of game, esports, and entertainment industry. In the field of mobile game esports, PUBG MOBILE utilizes an easier and more engaging way to get close to players and casual viewers alike. Carrying the spirit of sports, PUBG MOBILE expands to the field of pan-entertainment. The game and esports event are trying to deliver content in an easier to consume and entertaining fashion. As for the influence, its clout can be verified from continuous attention for the Asia event and millions of views on the official PUBG MOBILE YouTube channel. In addition to the cross-border exploration, the PMSC Asia Finals also create a new approach in esports. The traditional esports event is regularly held in a closed arena. In contrast with traditional presentation methods, PMSC Asia Finals created a new concept of “mobile esports on the beach”. The teams compete against each other in the open area of the resort, vying for supremacy on a beach with beautiful sea views. Twenty teams not only fight for the championship but also to get the special pool villa room. The competition is no longer limited to a figurative venue. The mobile nature of this event means esports competitions and events can be hosted anytime, anywhere. The PMSC Asia Finals signify not only a landmark in the esports industry, but also a figurative upgrade of the esports concept. The recently broadcasted PMSC Asia Final have attracted more than 17 million views. We hope this fusion of gaming, competition, and reality TV will usher in a new era of mass market appeal for both esports and games.